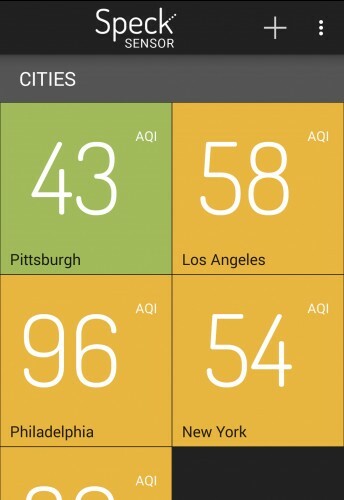 On any given day, air quality in Pittsburgh can be worse than in Los Angeles. While LA has the worse reputation for smog, Pittsburgh ranks among the worst 13 percent of U.S. cities for particulate air pollution and the worst 2 percent for toxic air pollution. “People think Pittsburgh’s pollution problem is over since we no longer have that classic Pittsburgh image of a black sky and soot on the ground. That’s simply not true,” says Sara Longo, manager of operations at Airviz Inc. Her company collaborated with the CREATE Lab of Carnegie Mellon University’s Robotics Institute to develop SpeckSensor. It’s a smartphone app that may help Pittsburghers breathe a little easier or, at least make them aware of how serious the problem is, Longo says. SpeckSensor enables users to check the Air Quality Index (AQI) nearest to them. It automatically loads the latest AQI from federal air quality monitors, and also allows the user to compare the air quality of their town, city or neighborhood to others by simply typing in the name or zip code of the desired area. As of 2014, there were about 20 such monitors in and around Pittsburgh, including in Lawrenceville, Braddock, Wilkinsburg and Downtown. 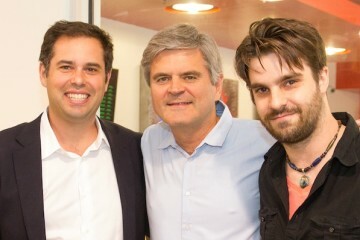 SpeckSensor derives its name from Speck, a low-cost indoor air monitor that was also a product of CREATE Lab. SpeckSensor’s developers hope that the free app builds on Speck’s legacy of accessibility and empowering the user through knowledge. The air quality in Pittsburgh wasn’t too bad on this day, but usually compares poorly to other cities. Nourbakhsh is also creator of Breathe Cam, a system of four cameras which documents local air levels 24 hours a day, 7 days a week. 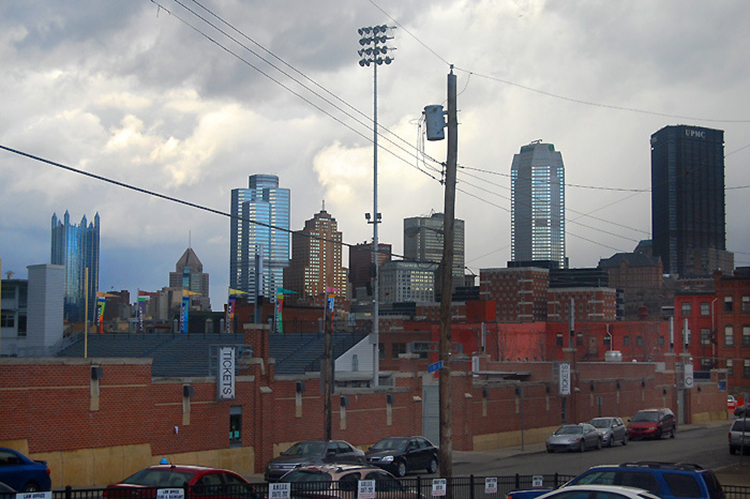 SpeckSensor is supported by The Heinz Endowments as part of its Breathe Project, which is comprised of Pittsburgh businesses, residents and other local organizations who are working together to improve Southwestern Pennsylvania’s air quality. According to the Breathe Project, and decades of research Pittsburgh’s air can exacerbate asthma and a host of other health problems. The Android and IOS versions of SpeckSensor are now available for download on Google Play and the iTunes Store.